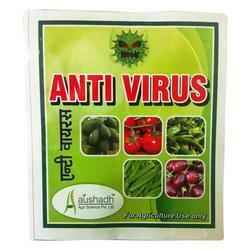 Owing to years of experience in the industry, offering wide range of Anti Virus Controller that caters diverse requirements of the agricultural industry. We are supported by experienced research professionals, who conduct the extensive research and deliver an exceptional range of products. Our entire product range is as per the set quality standards. Moreover, we offer them at most affordable rates. Looking for Viricide Virus Controller ?